Welcome to Miyami Japanese Steakhouse! 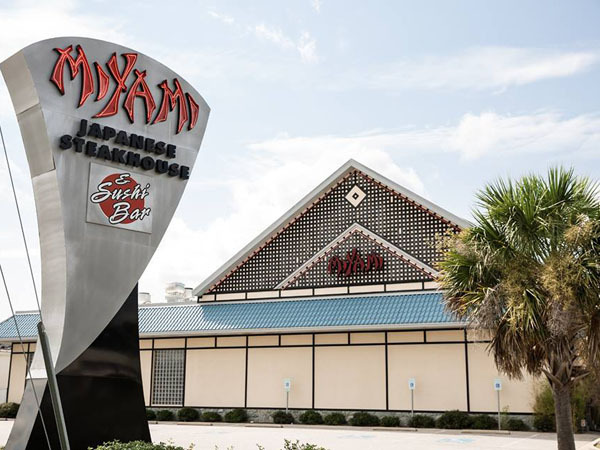 Located conveniently in Florence, South Carolina 29501, Miyami Japanese Steakhouse has been proud of serving our valued customer a range of Japanese cuisine for a long period of time. With many years of experience, we understand the right way to combine all the ingredients by our unique recipes to make a wealth of uniquely flavored, mouthwatering dishes that almost no other country can claim. In addition, we also get a clean and standard cooking process so as to ensure the hygiene and food safety for customers.